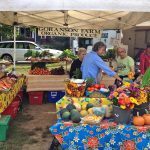 For a true taste of Midcoast Maine, the Boothbay Farmers Market has it all. 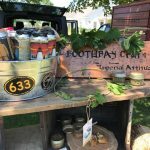 Every Thursday from spring to fall, approximately 30 vendors come together to showcase our local foods, crafts, and culture. 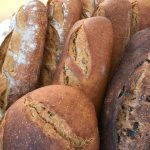 As you stroll through the Market, you can find ripe fruits, freshly baked goods, homemade jams, and more. 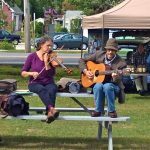 Many of the local vendors are happy to offer samples, and talented musicians may even delight you with performances throughout the morning. 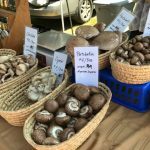 Read on to find out why the Boothbay Farmers Market is such a favorite among locals and visitors alike. Just don’t forget to download our free Vacation Guide and discover fun activities nearby to continue a memorable day on the coast. 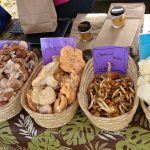 On Thursdays from May to October, you’re welcome to stop by the Boothbay Town Common and enjoy these fantastic seasonal offerings. 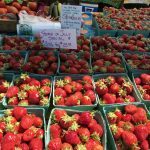 The Market is open from 9:00 a.m. to 12:00 p.m. providing a charming way to kick off your day in Maine. Parking is available along Common Drive or at the Boothbay Common restroom building. 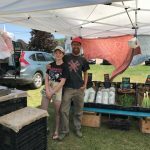 A stop at the Boothbay Farmers Market is a short drive from Topside Inn and is on one of our recommended self-guided tours of the area. 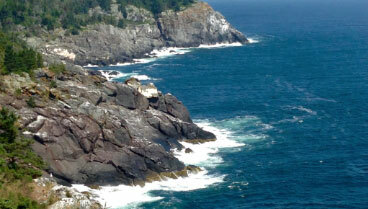 Plus, it’s on the way to other popular attractions including the Coastal Maine Botanical Gardens. All of our guest rooms have small refrigerators to keep your treats, and there is a larger guest fridge if you buy too much (if that is possible). 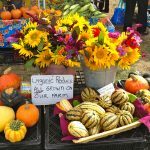 Did you know we often visit the Boothbay Farmers Market for inspiration and ingredients for our breakfasts at Topside Inn? We love using fresh, local ingredients for our gourmet meals, including edible flowers and herbs from our own gardens. It’s just one of the many ways we strive to delight our guests. 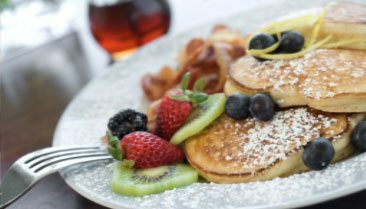 Before waking up to our delicious morning meals, you can join us at the top of the hill for some of the best lodging Boothbay Harbor has to offer. 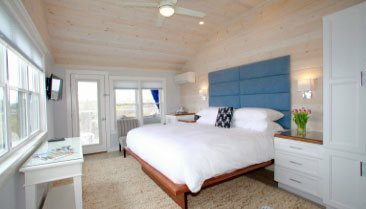 Our coastal-themed guest rooms inspire the relaxation and restful night’s sleep you’ve been dreaming of. With incredible water views, plenty of natural light, and a luxurious queen-size bed, Room 3 is perfect for your upcoming spring getaway. And, that’s just one of the many accommodations we offer here. 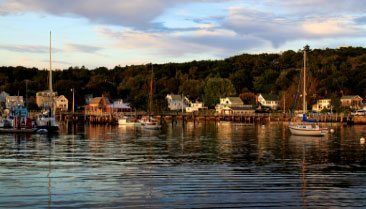 Book your stay today and start looking forward to a relaxing getaway in Boothbay Harbor, ME. We look forward to seeing you.